Jan 28 2012. Nice trio of Jupiter, waxing Moon and Venus. Jupiter is 10 o'clock from moon and Venus 5 o'clock. 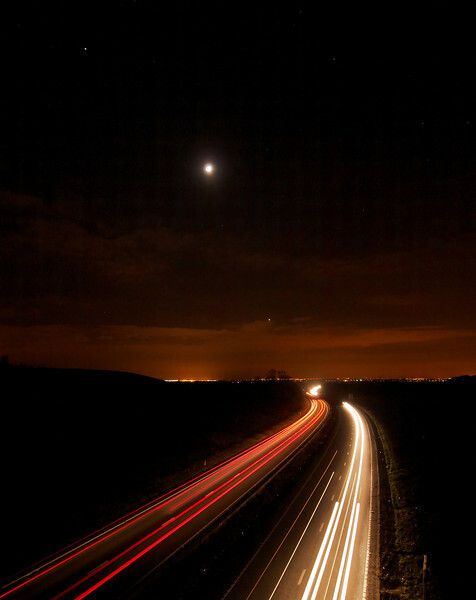 Composed overlooking the A14 in Northants looking towards Rugby direction. Captured with Oly E5, 7-14mm lens. 8s, F4.5, ISO 500.